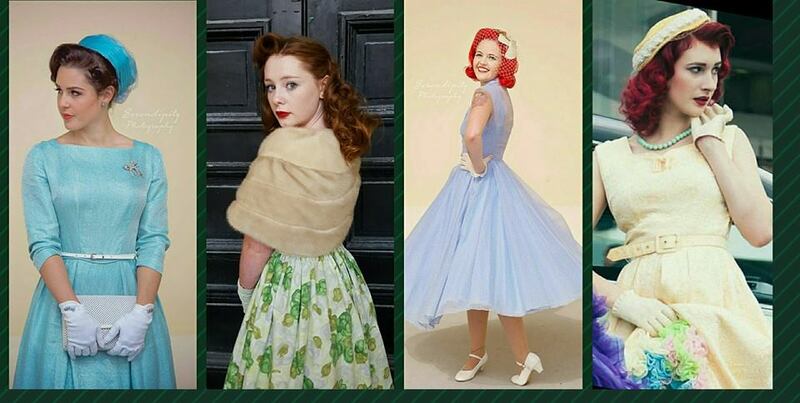 Wearing and caring for vintage clothing is immensely rewarding but also nerve wracking. Which pieces should you buy? How do you clean that delicate fabric? Where do you even start? While Google is great I’m wary of unproven cleaning methods. Instead I turn to La Vonne ( Doyenne of the recently retired Tock Tick Vintage store ) for her tried and true tips on selecting and maintaining a gorgeous vintage wardrobe. With a lifetime of experience and impeccable taste to match, Lavonne’s a goldmine of knowledge! If you’re always buying clothes but have nothing to wear, you’ll want to check out my 5 ways to buy the right vintage, not any vintage. LaVonne what do you look for or avoid when buying vintage items? Early on I used to collect almost every vintage item from last century (pre 1980) that crossed my path, as I just love finding and collecting vintage lovelies. Over time I have developed a more selective approach as some items are more commercial, collectible, rare and so on. These days I try to procure pieces that translate easily into more modern day styling or quality timeless pieces that have withstood the test of time; either in functionality, style or both. I am very particular about quality and I really do try to offer the best quality vintage I can, bearing in mind that some items were created decades ago, so some flaws are inevitable and to be expected. Great care is taken in laundering and making tiny repairs if necessary to offer the items as close to the original as possible. When I’m out searching for vintage treasure, the condition of the item is very important to me. Whilst some items are simply great to have because they are like museum pieces and marking a moment in time, generally most are going to be worn regularly and need to reflect that in their condition. I avoid items where the fabric is decaying or brittle. Vintage silks are beautiful, but when you hold them up to the light you can see the fibers are breaking, sheer or rotting. Be mindful that certain fabrics, particularly natural fibers, do have a lifespan. Therefore my main tip for buying vintage clothing is to buy good quality. Avoid items that have major faults. Better to pay a little more for quality key pieces than having a wardrobe brimming with ‘average’ items. If you could recommend one starter piece to someone new to vintage style, what would it be and why? Vintage jewellery, hands down. Add a brooch and earring set to a little black dress you already own and boom!, the stunning attention to vintage detail has us wondering if your entire ensemble is vintage too. The other wonderful thing about vintage accessories: they generally aren’t size dependent. I can wear a modern simple black dress and accompany it with my beautiful handbag, gloves, brooch and hat. The size of the dress is irrelevant yet the vintage detailing makes the outfit. Brooches added to a hat, a scarf, on a jacket. Fabulous. A string of simple pearls, always in style! Similarly a black jet necklace! Take a look at Mad Men folks … every woman is wearing jewellery to polish off her look. These items are affordable too. Compared to buying a dress or an entire outfit, you can add your $30 earring, brooch and necklace set to many outfits. To your twinset, with your capris on the weekend, or on the bodice of your evening gown. Just a tip, if you are not used to wearing clip on or screw on earrings they can take a little getting used to! However, like wearing in a new pair of shoes, it’s the same for your vintage earrings. Wear them for an hour at a time around the house often and over time your ears will get accustomed to them. Got a great pair of classic shoes? Your clip on earrings can double as pretty shoes clips to give your outfit instant vintage glam ! Tock Tick Vintage is known for your stock of wonderful furs. How do you clean and maintain them? Place the garment outside on a hanger two or three times a year on a gentle breezy day (not too hot and sunny, furs don’t really like too much bright sun for too long and extended heat dries out the leather pelt). Ventilating your clothing is a simple and easy way to keeping them fresh. I purchased a natural soft bristle pet brush from the pet store (was not expensive) … and every now and then I brush the fur, this is actually quite a tactile lovely process I find. It aerates the fur, removing any dust particles and keeping it silky. Of course, dealing with many furs it’s handy for me to have a brush. You can do this with clean hands for the same effect. Getting rid of that musty smell. You can hang the fur in a garment bag and place an open envelope full of coffee granules at the bottom, zip it up and leave it for about three days. Take the fur out of the bag, brush it, replace the coffee and repeat for another three days. Then air the fur outside for an hour or so over a weekend. The fur will smell of coffee for a short time but this will completely go, as will ‘that smell’. This is surprisingly effective!I also personally use a solution of one parts vodka to 3 parts water in a spray bottle to remove smells. Hanging the fur outside on the line, I stand back from the fur and spray a fine mist over the fur (and articles of vintage clothing too) making sure to not wet the items, but mist them. Allow to dry then brush. I have never caused any damage to my items through this process but of course care is required. Never store your furs in plastic .. they need to breathe .. in fact never cover with anything when in storage. If possible, store in a dark cool place (closet is fine) .. but maybe place a hook from the ceiling or on the wall in there so it can hang slightly separate (ie) you don’t want it to be squished between all your other clothes, will flatten the fur and will not allow air to circulate around it. I highly recommend buying a product like ‘DampRid’ and keeping these in your wardrobes. Not to protect just your fur, but your other wardrobe treasures. I find I replace these quarterly at a cost of around $7 per time. These little buckets of moisture absorbing crystals are incredibly effective at keeping moisture and mould out of your wardrobe. Not a bad investment for keeping your clothes in great shape at $30 per year. I know it seems straight forward, but run your hands though the garments in your wardrobe each week and quickly vacuum the floor and ceiling as part of your housework routine. This keeps dust and wee bugs away from your treasures and is another simple 30 second solution to help keep your clothes fresh. Your fur needs to be placed on a decent wide, padded or shaped coat hanger to retain good shape and be well supported. I have had customers purchase furs that they are going to keep displayed on a mannequin in their home. This is fine so long as it is never in direct sunlight, is in a relatively cool position and is regularly brushed and shaken to keep it aired and dust free. I agree, they look beautiful, why not display them!!!! Gentle surface washing will do no harm to fur, but wetting the pelt might make the fur fall out. Using a very mild baby or pet shampoo diluted with water then using a cloth or a brush the solution to clean the fur without penetrating the pelt works well. When you see a label on vintage fur items ‘clean using the furrier method only’ this refers to a process where furs were tumbled in machines filled with gritty sawdust .. the dry friction cleaned the leather and left the fur silken and clean. I have effectively cleaned fur stoles/collars/hats with unprocessed bran (gently heated in the oven first). You then place the fur in large bag (pillowcase even) with bran. Shake it around vigorously for a few minutes, then discard and brush out the bran. This is pretty labour intensive, the bran takes ages to brush out, but it really absorbs smells and dirt and leaves the piece lovely. Crazy I know! As furs were more common in the past, there were expert furriers that would care for fur treasures. These are now difficult to find and possibly quite expensive. I personally use common sense with my fur care. If you pay $100 for a vintage fur stole you may not necessarily wish to go to the expense of paying a professional to care for it. The silver fox fur I owned is still as immaculate as the day I purchased it some 20 plus years ago just by using some common sense. That said, if you own a top quality blue fox coat that cost thousands of dollars, I do recommend getting it the professional care it requires. I don’t know of any furriers in Auckland but I am sure if you check with your trusted dry cleaner they could point you in the right direction. I would imagine in cities with colder climates where fur coats might be worn more commonly due to temperature, more places would be available to purchase and care for fur. This all sounds very in depth. It is actually relatively simple. I make small mends when seams come apart and I spot clean if I have to. When buying a vintage item there will often be imperfections, these items have been lovingly worn over time and that is to be expected. You will lovingly wear it and care for it too. What do you feel are the most important accessories for vintage style? 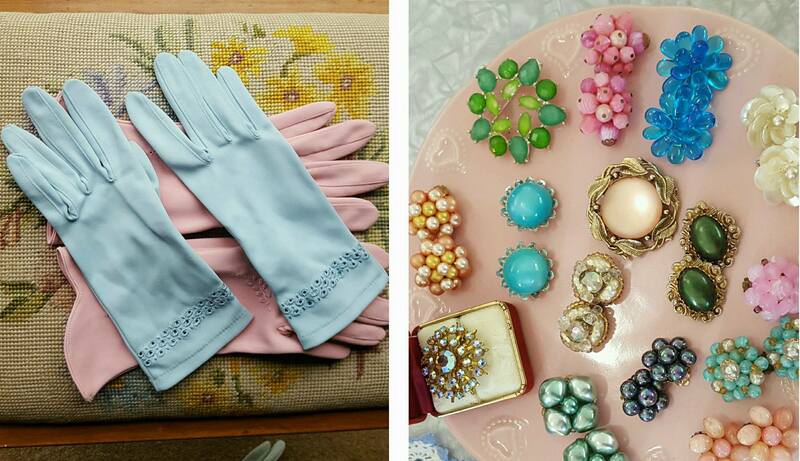 It’s no surprise I’m obsessed with vintage accessories. I would toddle off to Secretarial College in the mid 1980’s wearing my Nana’s 1950’s houndstooth coat with black fur collar, my Mother’s 1960’s patent handbag and a pair of slingback black suede winklepicker shoes. Ironically I never questioned my ‘look’, whether is was current or relevant, whether it was appropriate even, I just loved those items and I felt fabulous. Those vintage treasures brought me real joy. They in some way transported a piece of me back in time, gave homage to those I loved and were different to anything I could find in high street stores. I guess that was the beginning of the obsession. Whether fully immersed in vintage styling or you have alternative or eclectic tastes, or just love the beauty of pieces crafted in a time of quality and attention to detail … vintage can be a great way to individualise your wardrobe with things you’ll love. Vintage accessories are so great for this. My collection of vintage handbags is vast however I always recommend to my customers that owning a black and a neutral vintage handbag is a great start as then you can always add that vintage flair to your outfit . You can add a brightly coloured hair flower to your classic handbag to tie in your look. A few of La Vonne’s happy customers. And there you have it, expert do’s and dont’s for protecting and laundering your vintage treasures! I recommend you bookmark or pin this post, I come back and refer to it whenever I have a new-to-me vintage garment that needs some TLC. I’m glad you like it Shayna, LaVonne is so knowledgeable and such a help with finding just the right accessories for an outfit!